Diversity, inclusion, community, and equity are the keys that strengthen the vibrancy of the Special Libraries Association. The Special Libraries Association’s (SLA) goal is to ensure that members, volunteer leaders, industry partners, and staff are aware of and recognize diversity, community, inclusion, and equity issues, and to ensure SLA behavior reflects the diversity of the profession and of those we serve at our organizations. SLA promotes diversity, inclusion, community and equity in association activities and addresses issues related, but not limited to, race, ethnicity, culture, age, gender, sexual orientation, gender identity, ability, national origin, veteran status, social economic class, religion, and professional status. If you an SLA member, we encourage you to participate in the Diversity, Inclusion, Community, Equity (DICE) Caucus. If you aren’t an SLA Member, join us and the conversation within the DICE Caucus. SLA is committed to making the annual conference accessible to the broadest range of people as possible. SLA works to hold meetings, events, conferences, and professional gatherings where physical and communication barriers do not exclude people with disabilities from attending and participating. SLA has a Professional Ethics Guidelines, which promotes the professional welfare of its members and the organizations and people they serve and fosters the global progress of the knowledge society. In an environment where concepts and practices of ethics and service continue to extend and expand, SLA members strive to implement and promote guidelines for the ethical and appropriate use of information and knowledge. Fundamental to these guidelines is the recognition that there are different kinds of information and knowledge, such as personally identifiable, proprietary, or classified information or public information pertaining to the actions of government. Also fundamental is a respect for a diversity of viewpoints, for cultural differences and for civil discourse. To provide all participants —members, other attendees, speakers, exhibitors, sponsors, staff, and volunteers—the opportunity to benefit from the conference, SLA is committed to providing a harassment-free environment for everyone, regardless of gender, sexual orientation, gender identity, gender expression, disability, physical appearance, ethnicity, religion, or other group identity. Review our Anti-Harassment Policy (Code of Conduct). SLA 2019 Annual Conference sessions and special events will be held at the Hilton Cleveland Downtown and Huntington Convention Center. All public areas, lobbies, exhibit halls, and meeting rooms in the Hilton Cleveland Downtown and Huntington Convention Center are Americans with Disabilities Act (ADA) accessible. The ADA features include accessible parking and restrooms, automatic door entrances, text telephones (TTY), payphones, and assisted listening devices. If you have requested ADA accommodations during the registration process, please check in at SLA Registration. Accessible Presentations: SLA encourages all speakers to make their presentations accessible to the best of their abilities for all attendees. ADA or Special Requests: There is a section of the online registration and print registration forms where you can list any ADA or special needs. Please email learning@sla.org if you have any questions. All ADA and special needs requests must be received by May 3, 2019. Anti-Harassment Policy (Code of Conduct): SLA is dedicated to providing a harassment-free conference experience for everyone, regardless of gender, gender identity and expression, sexual orientation, disability, physical appearance, body size, race, or religion. We do not tolerate harassment of conference participants in any form. Sexual language and imagery are not appropriate for any conference venue, including sessions and networking events. Conference participants violating these rules may be sanctioned or expelled from the conference (without a refund) at the discretion of the conference organizers. Review our anti-harassment policy (code of conduct). ASL Interpreter Services: SLA provides interpreter services for attendees who request American sign language (ASL) interpretation in advance of the meeting. To request interpreter service, email learning@sla.org no later than May 3, 2019 to ensure that SLA has sufficient time to arrange for appropriate interpreters. If members inform SLA about their anticipated attendance at particular sessions, SLA staff will connect interpreters with session moderators to secure advance copies of any materials they might have. Email learning@sla.org for more information. Please know there will be no family activities or child programming at the SLA 2019 Annual Conference. Crosswalks around Huntington Convention Center, Hilton and Marriott: As a follow up on the crosswalks in the surrounding areas of Cleveland CC – they beep when you press the button to walk and flash when clear to cross. Food Allergies & Dietary Restrictions: There is a section of the online and print registration forms where you can select dietary restrictions and enter food allergies. If you have a dietary restriction outside of the listed categories (vegetarian, vegan, gluten-free, Halal, and Kosher), please contact learning@sla.org. SLA will make reasonable efforts to provide dining options for all attendees. Diversity Programming: SLA supports an inclusive learning environment where diverse perspectives are recognized, respected, and seen as a source of strength. Diversity, equity, community, accessibility, and inclusion in all aspects of programming are vital to the future viability, relevance, and sustainability of the profession. Gender Identity: People identify on a broad spectrum of gender identities, including male, female, non-binary, and more. It is important to remember that gender identity is not visible. It is an internal sense of one’s own gender. At the SLA 2019 Annual Conference, attendees will have the option of selecting personal pronouns visible on meeting badges. 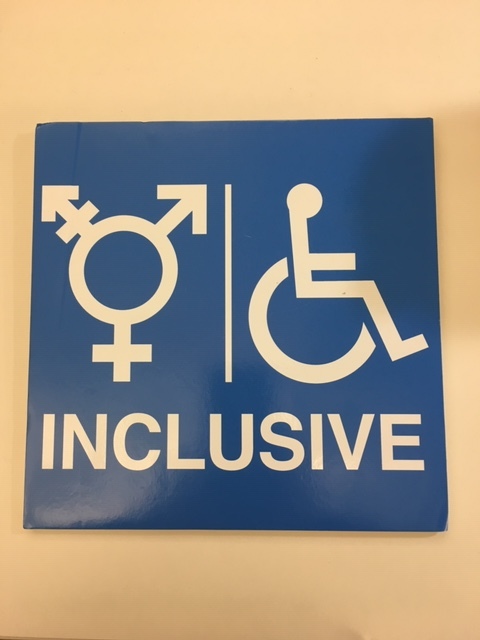 All Gender Bathrooms: SLA is committed to making the meeting accessible and welcoming to all of our community. All gender bathrooms are an important part of making the Annual Conference more inclusive. Signage will indicate the all gender bathrooms available at Hilton Cleveland Downtown and Huntington Convention Center. Nursing Room: SLA will provide a room with electrical power, a refrigerator, and a locking door for nursing parents. Please contact learning@sla.org. Once onsite, please visit SLA Registration for access to the room. Onsite Accessibility Issues: Should you encounter an accessibility issue during SLA 2019 Annual Conference, please contact meeting management staff at Registration so that they can resolve the issue. Prayer Room: SLA will provide a room to pray. Please contact learning@sla.org for more details or concerns. Once onsite, please visit SLA Registration for access to the room. Program Access: Conference registration provides unlimited access to all the online meeting content through the conference mobile app or online version. Smoking: Smoking of any kind, including but not limited to, traditional cigarettes, cigars, marijuana, vaping, are not permitted in conference areas. Conference participants violating these rules may be sanctioned or expelled from the conference (without a refund) at the discretion of the conference organizers.